A twelve day long school trip under Australia Cultural Exchange Program was organized in August to Seymour Girls College, Adelaide, Australia. Four students and a teacher from our school departed for Seymour College, Adelaide on 3rd August 2018 enroute Singapore and Melbourne. The team reached Adelaide the next day and welcomed by Ms. Lynn and her team at the airport. On first two days i.e. 4th and 5th August, students were settled down with their host families and enjoyed the weekends. On 6th August students were welcomed by the Principal and had a school tour with their billets. They also attended classes of their specific subject and had experience of teaching system followed in their school. The next three days the students visited the Cleland Wild Life Park, city market and Highs’ Chocolate Factory. They also visited University of South Australia. On 10th of August students along with teachers attended an art workshop and cookery class where they learnt screen printing and to prepare Anzac cookies. In the evening they attended CLAN CHORAL and also presented flawless dance performance which was appreciated by the audience. On 11th students had fun time with their billets and packed their bags with a heavy heart. In these 9 days students developed long lasting relationship with their billets and their family members. The hospitality of the host families exceeded their expectations. They bade good bye to each other with a heavy heart promising to stay in touch. Next day the team reached Sydney at around 12pm and after taking lunch moved for city tour. They explored Madam Tussand’s, Opera House, Sydney Aquarium, Tower eye and Harbour Bridge. On 13th August students were astound with the breathtaking view of Three sister Mountains and Jenolan Caves. The caves are Australia’s largest and most popular limestone caves and are dated to 340 million years old. The last day i.e. 14th August was the date to leave for home. The team boarded the flight and reached India via Bangkok at 11.30pm. On the whole both Indian and Australian students found the experience a positive one from a cultural and educational point of view. 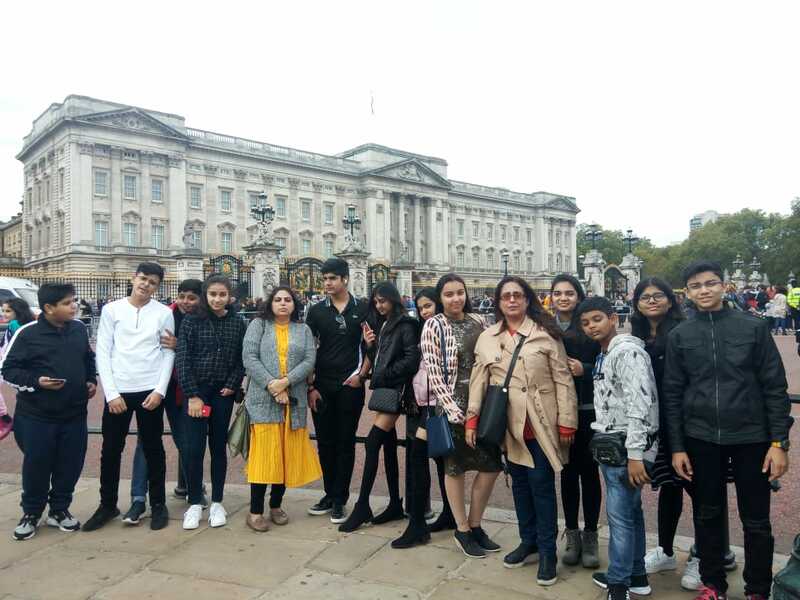 Students of the school along with teacher incharges Ms Sakshi Batra and Ms Neha Taneja visited Loxford School , London, UK for an International Exchange Programme during 7th -14th October. Students had a great learning experience as they attended a variety of classes on art and food technology, Economics, History, Math and Textiles. They had an enriching interaction with the Global Ambassador of the school. They exchanged their experiences and learnt from each other. Such Exchange Programmes empower the learners to meet global challenges. 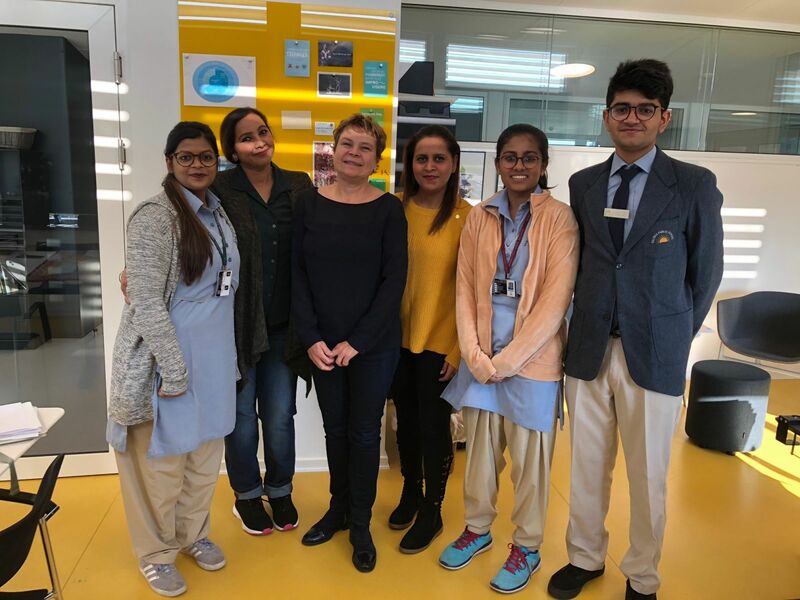 Our Students Deshna Jain and Mehak Sharma accompanied by Ms Kamaljeet Kaur went to Denmark and Sweden for an exchange programme from 9th – 16th October 2018. The trip was for seven days in which the students got to learn about the Danish culture, education and their lifestyle. The two days spent in Gladsaxe Gymnasium School enlightened the students about Danish education system. They had discussions on various topics like No plastic, pollution, water scarcity etc. The students attended Danish classes of Maths and Geography. They visited Danish waste management centre, water forum, Sweden and lastly to Tivoli amusement park. The trip was wonderful and the students had an enriching experience.